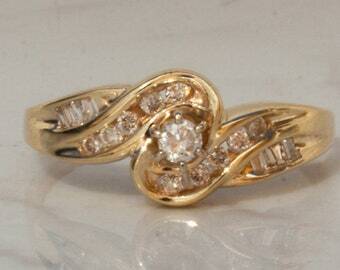 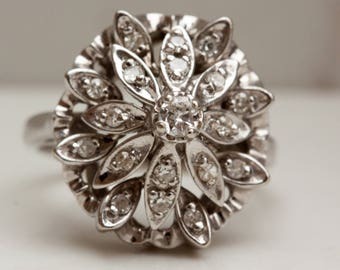 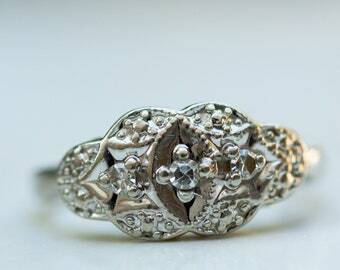 Beautiful mid-century engagement ring with a gorgeous high quality diamonds that really sparkle! 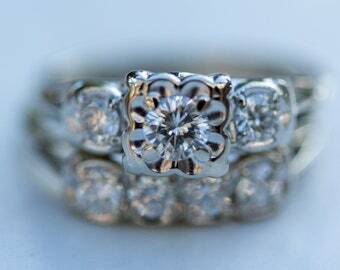 The ring measures 6.2 mm wide the front and 1.4 mm in the back of the band. 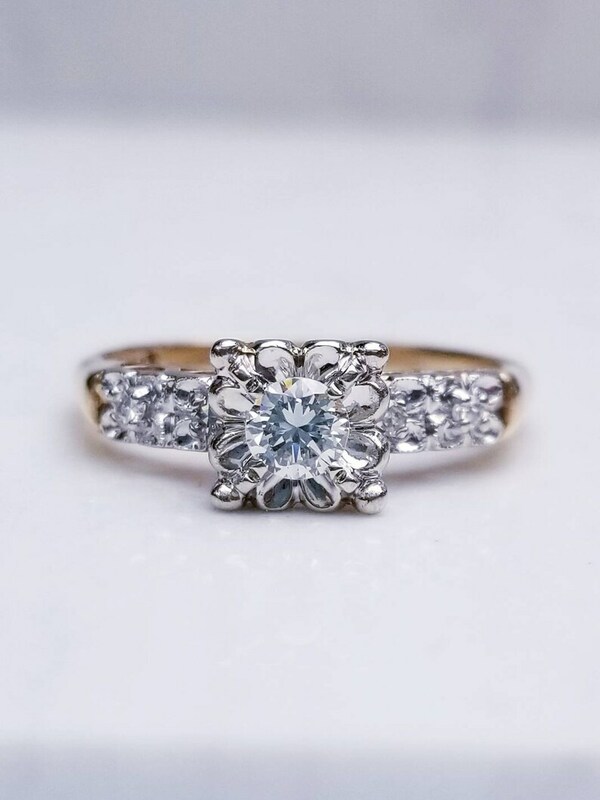 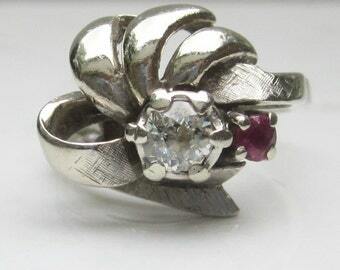 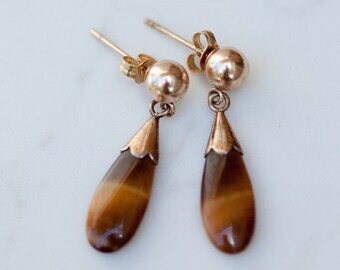 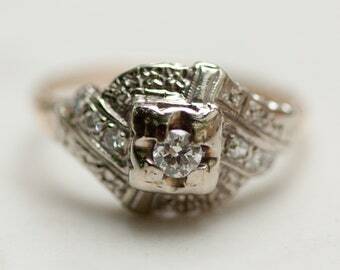 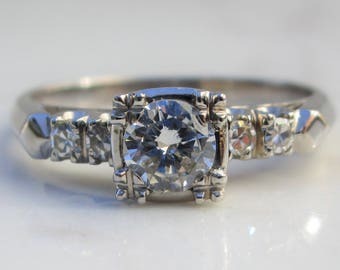 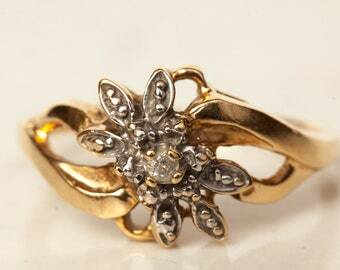 *** this engagement ring has a matching wedding band that is currently for sale by Little Women Vintage. 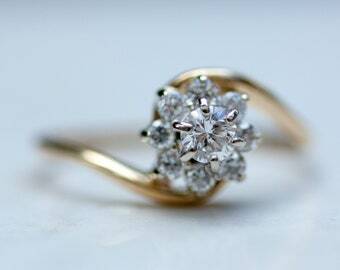 Total Diamond Carat Weight - .31 ct.